Does anybody have any experience of the Penn Affinity Shore TRQ? After snapping my second hand greys triplex on its 5/6th cast, im reluctant to buy another second hand rod (at least for the time being) so want something new, with a years warranty. Its 15ft and rated to cast 3-4 oz. Its on sale for £100 new. Clearly, its quite an old rod but I'm not looking to eek extra distance from my 'polished' cast, just want a decent rod to learn the basics. Slow your cast down and let the rod do the work.With these longer rods a gentle overhead thump should send it miles.Don't try any fancy pendulum casts as they are not really designed for that and it often says so in the paperwork when you buy a new one. Im not trying to pendulum cast (although I'd like to learn on a smaller rod). Im either using an overhead thump or off the ground if im on nice clean beach like talacre. Is that just because you need a heavier lead to hold the bottom? There are definitely too many variables when it comes to choosing a rod! lal5000 wrote: Is that just because you need a heavier lead to hold the bottom? 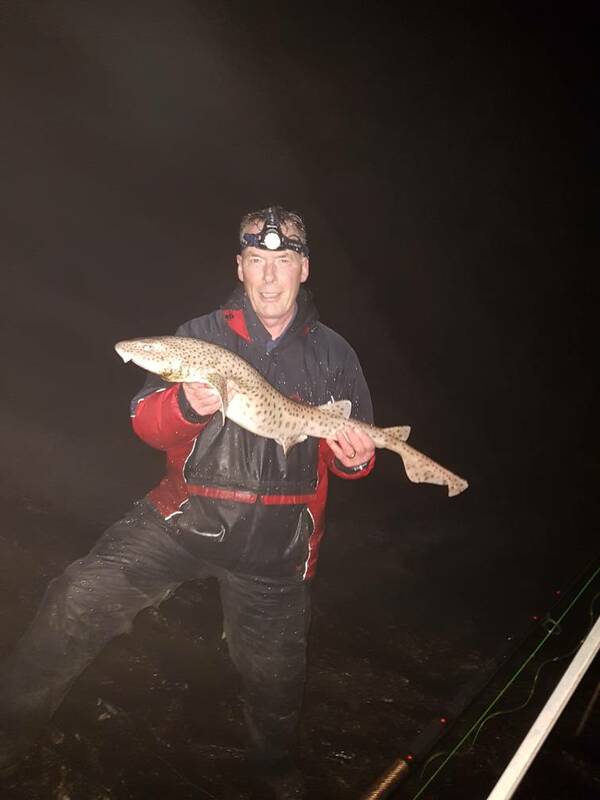 Yeah...if you plan on fishing the Mersey the tidal pull is often strong so you need 6oz or 7oz at some times,plus the weight of your bait so you need something with a backbone. Ok. Its good advice. I have a carbon metal sre thats rated from 4-6oz. Im guessing that would be a better contender for mersey fishing? I like to fish with two rods and have broken 2 in 2 weeks so just want something thats not going to break! As Kev said, you'll limit your options if you go for the Penn. Don't be overly concerned about opting for a 14ft rod rather than a 15ft. Unless you're built like a tank you'll likely find the 14ft rod will cast further as you'll be able to increase the speed of your swing. Some nice looking rods there! Will have a look at them this evening! cheers. Godders123 wrote: As Kev said, you'll limit your options if you go for the Penn. I've recently got the Unabomber it's a nice rod and suited for the Mersey also got the Viper nice but light rod more suited for the beach. The others I'm not sure of but I recommend the Unabomber. You can get a brand new 15' 9" Penn rampage 11 off me for £100 which is more suited to the Mersey as you see lots using them. My other rod is 16ft so a 14ft rod will actually complement it quite nicely. I'll give the Unabomber a go then. You can try my rod on the 3rd if you want?